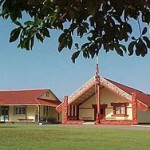 Vogeltown School will be visiting Owae Marae in Waitara, 22 – 23rd October, with the senior students staying overnight on Wednesday. This is a unique way to learn about, experience, and celebrate Maori culture within our community. Senior students should have received a permission form including costs and further information, that needs to be filled in and returned to school. Parents and caregivers are most welcome to join us for all, or part of the experience.